or share your love of Kyanite Publishing with these great gift ideas! We wanted to show our own love of Kyanite Publishing with custom coffee mugs, shirts, and other merchandise. Now you can get your own as well! Clean and classy, you can't go wrong with the original Kyanite! Smooth,clean, and efficient; the Kyanite Glass brand of novelettes and novellas embraces the future of publishing. What wonders might be lurking in the crypt? Walk on the wild side with Kyanite Kiss. Romance and rough-housing both have a place here. Show your love of our pulp-style journal! Kyanite's B.K. 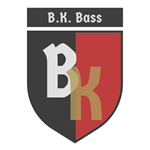 Bass wears a lot of hats, and he makes them look almost as good as this merchandise. 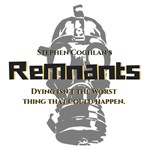 Kyanite and Stephen Coghlan team up to bring you the post apocalyptic horror of Remnants! Merchandise related to a variety of different Kyanite Publishing titles. Jewelry and more! The Gemstone Collection features all five Kyanite crystals with no logo text on high quality accessories!